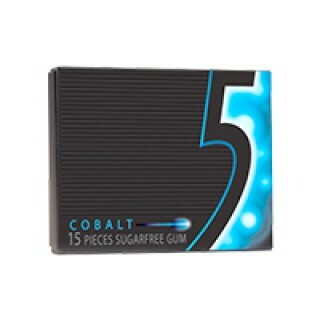 Cobalt 5 gum offers a long-lasting, cooling peppermint flavor to satisfy to your sense of taste. The peppermint aroma appeals to your sense of smell. Sugar-free gum comes in a revolutionary wrapper to delight your other three senses. Square flat, slim box offers a dramatic design and is reclosable so the gum does not fall out. The fine quality wrapper is quieter than standard wrappers. Looking to buy the African food online? you have arrived at the perfect place to do just that.